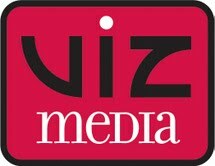 VIZ Media is also heading to Anime Expo 2012 this weekend, taking place in Los Angeles. They’re bringing an array of booth attractions, product giveaways, special guest appearances, and panel discussions scheduled to take place throughout the unique 4-day Southern California event. They’ll be located at booth 1401. They’re welcoming Tiger & Bunny Executive Producer Masayuki Ozaki as its guest for a panel discussion to be held on Saturday, June 30th at 12PM in Room LP1. Joining the panel will be voice actors Yuri Lowenthall (Barnaby Brooks Jr. / Bunny), Travis Willingham (Rock Bison), Laura Bailey (Dragon Kid), Patrick Seitz (Sky High), John Eric Bentley (Fire Emblem) and Tara Platt (Agnes). After the panel there’ll be a special signing session at the South Hall Autograph Area, at 3:30PM. You can also join company executives on Friday, June 29th at 2:00PM in Petree Hall (Hall CD) for the “Super Secret VIZ Media Anime Project” panel. Sneak peeks at other upcoming anime and manga series, as well as news on newly licensed properties, will be a major focus of the VIZ Media Panel, scheduled for Sunday July 1st at 1:30PM in Room 515A. Readers that sign-up at the booth for an annual membership of Weekly Shonen Jump Alpha during Anime Expo will be treated to a special free Yu-Gi-Oh! Shock Master collectable trading card. There’s limited quantities available, so get there early. Fans are also invited to a fun Shonen Jump Alpha Fan Meet-Up scheduled for Sunday July 1st, at 5PM in Room 515A. Gift bags filled with a variety of fun collectables will be given away, while supplies last. Attendees can meet the Shonen Jump Alpha staff and other readers, and learn all about what the digital manga magazine has in-store for future issues. eigoManga is heading the the Anime Expo 2012 in Los Angeles this weekend. The San Francisco based comic book publisher will be at the convention which is being held on June 29 to July 2, 2012 at the Los Angeles Convention Center in Los Angeles, California. ‘Padak’ is an award-winning full-length animated film directed by Lee Dae Hee. The film is about the lives of fish in captivity in a Korean seafood restaurant. Some fish accept their fate while others fight to change it. This is the North American advance screening premier of ‘Padak’. The ‘Padak’ screening is scheduled for Monday, 10am – 1:00pm and located at Video 2 (LACC 404). Colleagues from eigoMANGA will announce and showcase releases of the company’s mass-market publications, games, and animation titles in 2012. ‘eigoMANGA In 2012 Panel’ is scheduled for Saturday, 10am – 11am at LP 2 (LACC 502AB). ‘The How To Draw Manga And Portfolio Review’ workshop is scheduled for Sunday, 11am – 12pm at WS2 (LACC 501). Hope you had a great Fourth of July, and while you were out enjoy BBQ and blowing things up with fireworks, here’s the news you might have missed. A long weekend is almost here! BBQs, fireworks, and lots of beer is on the schedule, anyone doing something fun? While you figure out what your plans are this weekend, here’s the news you might have missed. Bleeding Cool – Thor 2 Set For July 2013, Will Need New Director – Not sure what I think about getting a new director. Popculture Zoo – SDCC 2011: Voltron Activates Interlocks In San Diego!